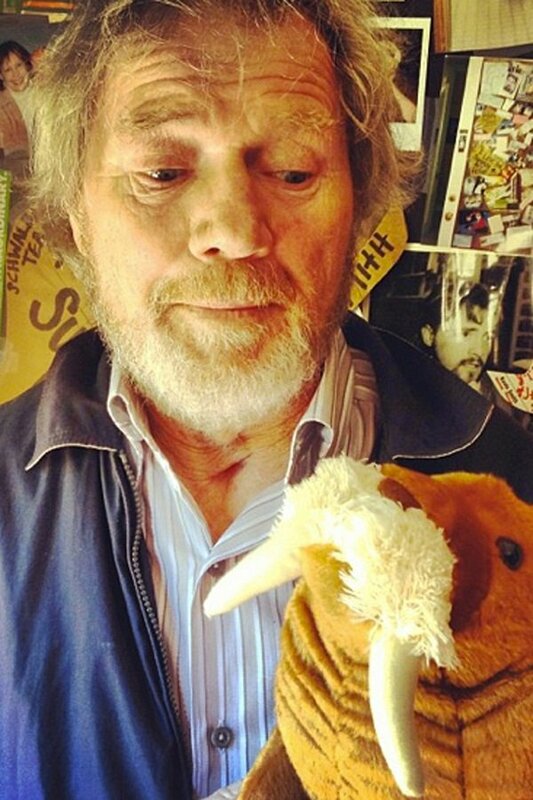 Quickly, for those unaware, Tusk is a Demarest Films and SModcast Films production which will follow a podcaster (Long) who secures an interview with a batshit crazy old seafarer (Parks) who turns out to be a vicious killer with ambitions of dressing the podcaster up in a walrus costume. It’s based on a newspaper ad, but more on that later. “QT said he dug the script and couldn’t wait to watch Parks let loose his internal Kraken, but he had no interest in acting at the moment,” Smith wrote. And that without Tarantino, who could possibly play Lapointe? Unfortunately, we don’t find out, but he teases that a second column coming in January will tell “the long, twisted tale of the casting of Guy Lapointe,” but we’re clueless until then. Additionally, Smith went on to talk about why the production start has shifted from October to November. They lost their location. A perfect mansion in Toronto was their initial setting, but another show had negotiated their way into using it. But only 48 hours of sadness later, they found an equally suitable house in North Carolina, and so this is now the new home of Tusk. So if you know anyone who wants to use that house for some reason, tell them to back the hell off and let this film get made. Thankfully, Smith provided a picture of each actor in the pre-production process, which you can see below. 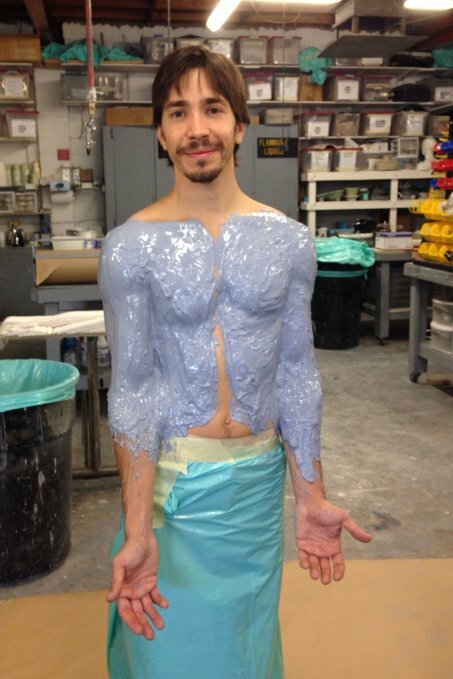 I’m assuming Parks’ pic is from a script reading, while Long is getting latex applied for the creation of his costume. The plot is based on an ad where a man, after becoming friends with a walrus while lost at sea, put an ad out for potential roommates who would want to live rent-free with the provision that they spend a few hours a day dressed up as a walrus. In other words, it’s a rehashing of the search for the American Dream. Smith’s intention is to get Tusk wrapped up and finished with in time for a Sundance release, coinciding with the 20th anniversary of Clerks’s initial appearance. Man, I’m hoping that happens, as it would be quite an amazing feat in all kinds of ways.